Firstly, before I start, may I just say welcome to newgirlintoon.co.uk Oh yes! I've finally got round to sorting out the domain name that Simon bought me for my birthday so New Girl has become a little bit more grownup. On with today's post and we're back to my favourite subject - food! Alnwick is a beautiful little town lying north of Newcastle, nestled in the gorgeous countryside of Northumberland. It's somewhere I've been wanting to visit ever since relocating to the North East so when The Plough in Alnwick invited me to try their new Sunday menu I jumped at the chance. Although Alnwick is 45 miles away from Newcastle it is easily accessible by car or public transport. I don't have a car at the moment so decided to go on a bus adventure and had a really enjoyable ride from the city centre, through some gorgeous villages and right to the door of the Plough, making it a perfect little Sunday trip. 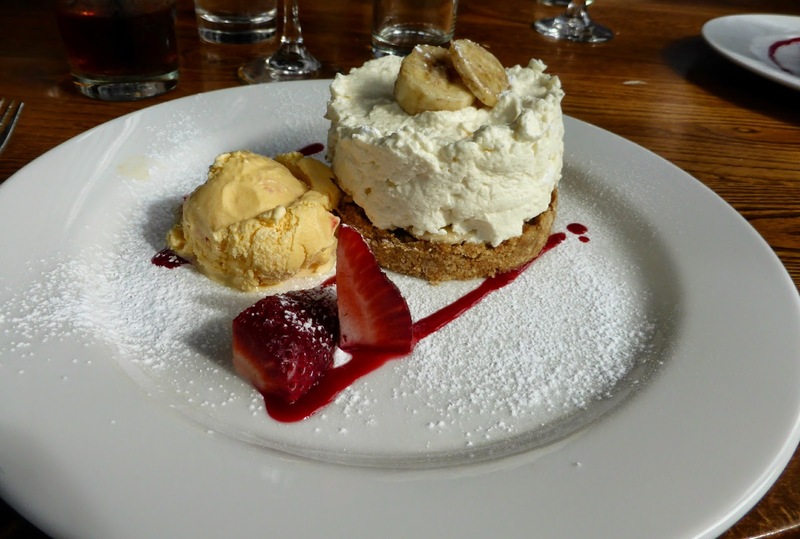 The Plough is a hotel, bar and restaurant that has recently seen a few important changes. After changing hands a few times it is now under new management and headed up by David Whitehead, the man behind the Jolly Fisherman in Craster. It's an exciting time for The Plough with a refurbishment planned and new menus to enjoy. 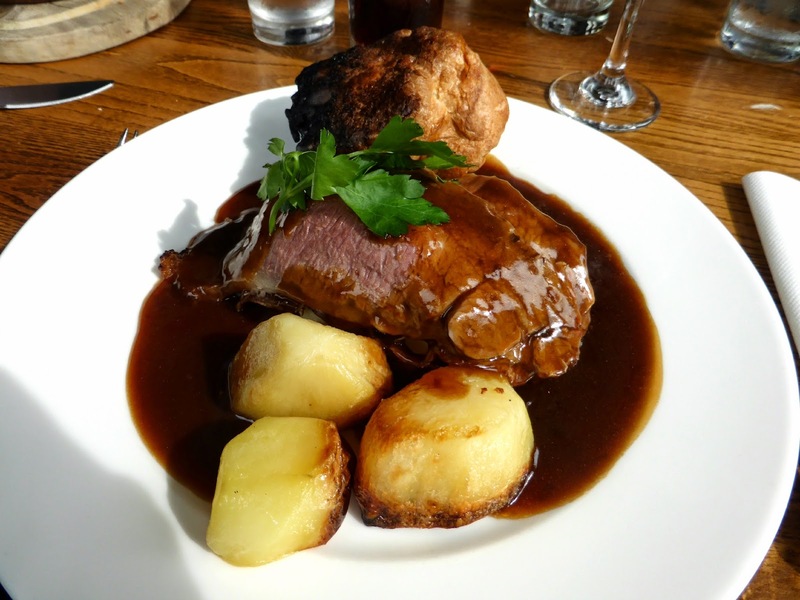 Sunday lunch is always best enjoyed with others and I was happy to be in the company of some fellow bloggers from the area, Paul from Taste of the North and Nicola and Suzanne from Daisy Green. We had our lunch in the restaurant which is a lovely bright space and had a table right by a huge window. As it was a lovely Spring day the sun was beaming through making me feel lovely and warm. I'm always eager to try somewhere new for Sunday lunch so I was looking forward to seeing what Head Chef, Juan Iniesta, had up his sleeve for us. The new Sunday menu offers a set menu of two courses for £13.95 or three courses for £16.95 which is really great value. Me being a bit of a foodie I had to go for all three! I started with the English Muffin topped with Smoked Salmon and Poached Egg which was just like having Eggs Benedict for starters. I love Eggs Benedict and the idea of not just limiting it to breakfast time, it's a dish that's worthy to be eaten throughout the day. It was absolutely gorgeous - the muffin was so soft and the salmon was perfect and the egg was just dreamy! Having a roast on a Sunday is one of life's greatest joys but is not something I get to indulge in very often so I took full advantage and went for the Roast Sirloin of Beef. I'm sometimes a little nervous about ordering beef as I'm rather fussy about too much fat being on my plate or the meat being too tough. Luckily my gamble paid off, the meat was cooked perfectly and it was served with a really thick gravy, crispy roast potatoes, buttery mash (yes, fellow food fans, you get two different types of potatoes! ), a Yorkshire Pudding as large as my head and three different types of veg. Not being an expert on wine it was so great to have the Plough's Manager Michael Bateman on hand to pair up some wine to our dishes. He picked a gorgeous red that really complimented my beef. My favourite course was definitely dessert. I had the banoffie pie and it just looked amazing, almost too good to touch. I actually spent a good few minutes gazing at it and not wanting to plunge my fork and spoon in as it would get ruined. Eventually I realised I was being daft so I went in and it tasted just as good as it looked. It was the nicest banoffie pie I've had in a long time and I really loved having the strawberries sitting alongside it. I left Alnwick with a very full belly and the feeling that I always love, I've found somewhere new to go for my Sunday lunch. Meeting the team it was great to see how enthusiastic they are about the future of The Plough and I really can't wait to see what happens next as they have some fantastic new ideas. I will definitely be returning with Simon in tow as he's been sulking ever since I got home and showed him my photos. I had a complimentary meal at the Plough but all opinions are definitely my own ... the food really was gorgeous and I highly recommend you all go and give them a visit. I am loving the size of those portions! 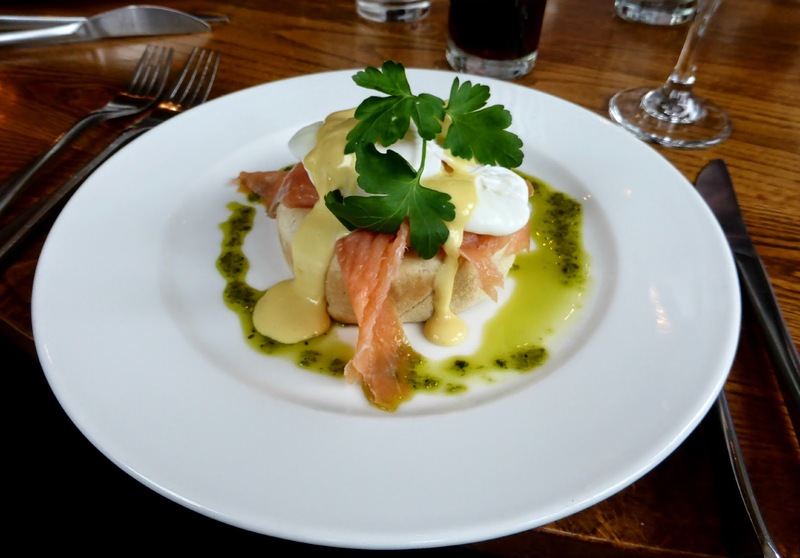 I am also a fan of breakfast dishes at any time of the day and that eggs benedict looks amazing. Dessert was your favourite course?! I can't believe that ;) Looks lovely, I do like a good Banoffee!! Oh golly, that all looks fabulous!